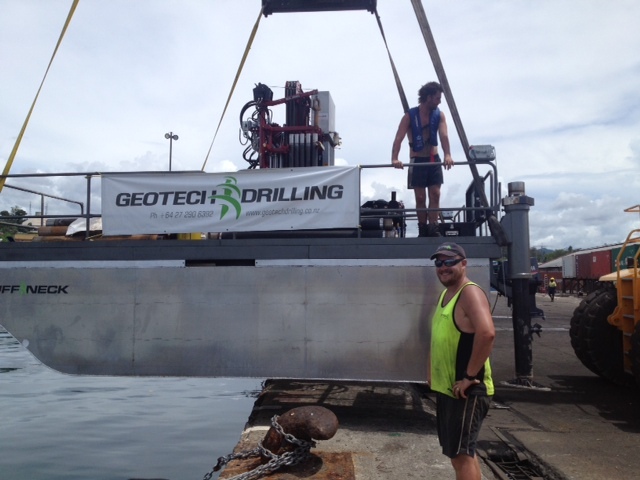 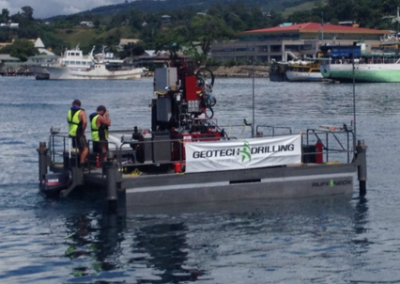 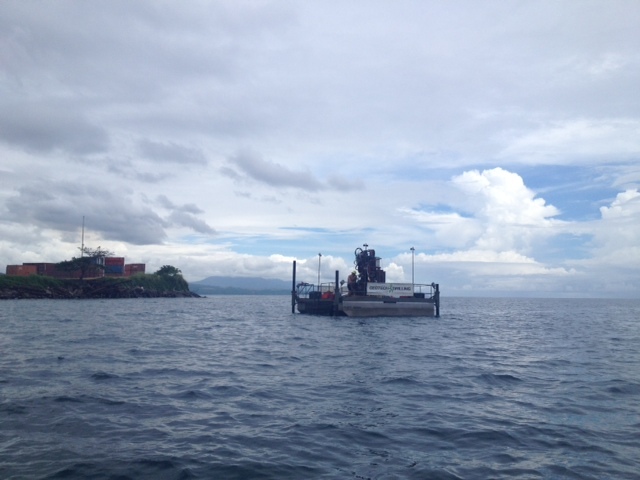 Sonic drilling and sampling is used more often for offshore geotech, environmental or mineral sampling. 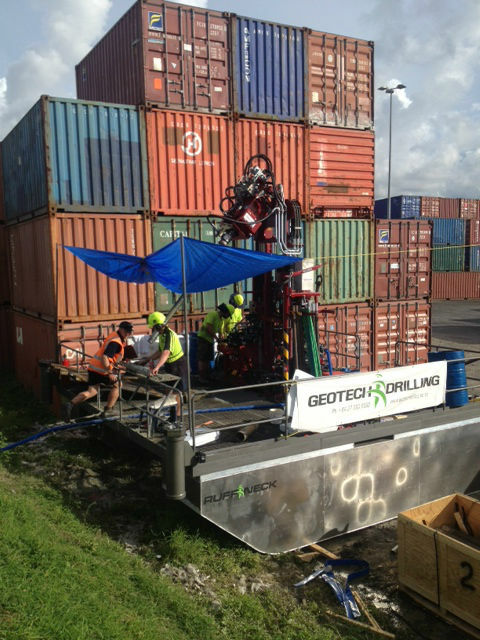 Offshore sampling is expensive due to weather or sea circumstances and especially when drilling technologies need to be switched due to changing geologies. 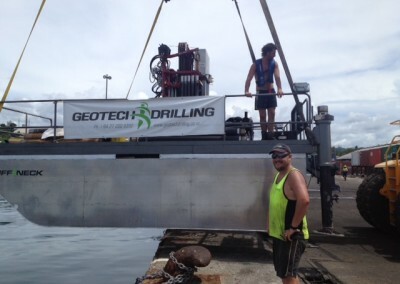 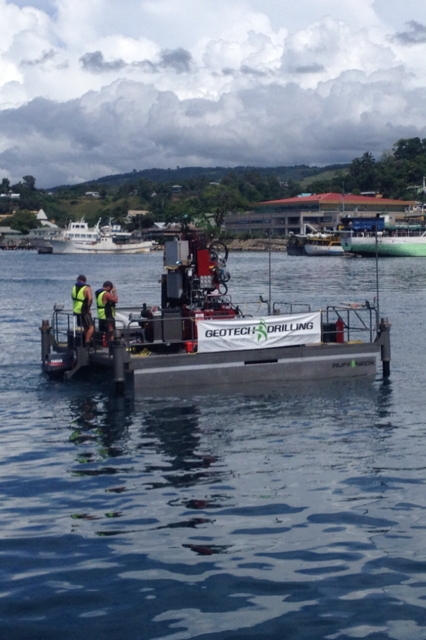 With sonic sampling shallow offshore sampling becomes more efficient due to the fact that sonic can sample all types of geology if the right rig, barge / vessel and tools are applied. 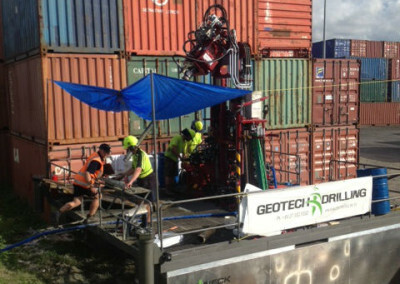 With Sonic you are able to sample through wet, saturated sands, boulders, consolidated materials and bedrock formations without changing technologies and with high recovery and production. 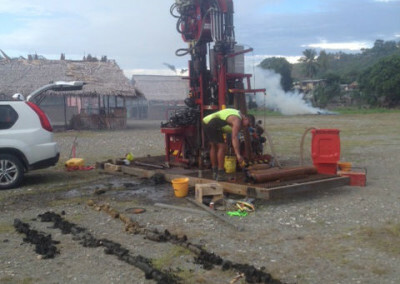 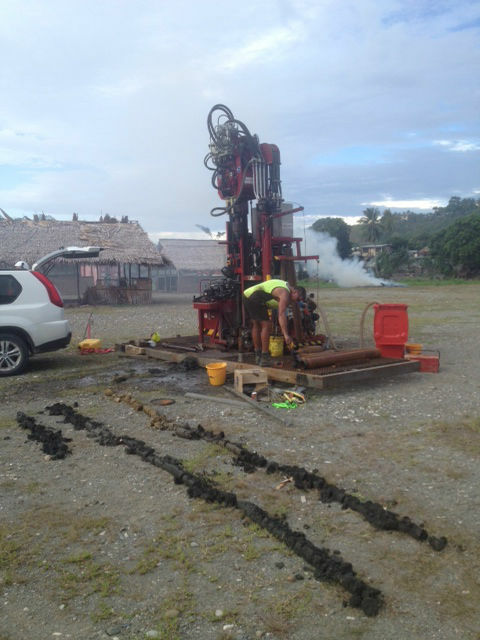 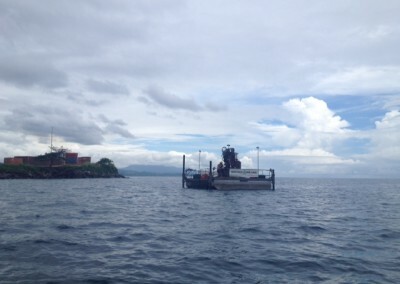 They are sampling through sands, gravels, boulders, and coral as well applying mechanical SPT.